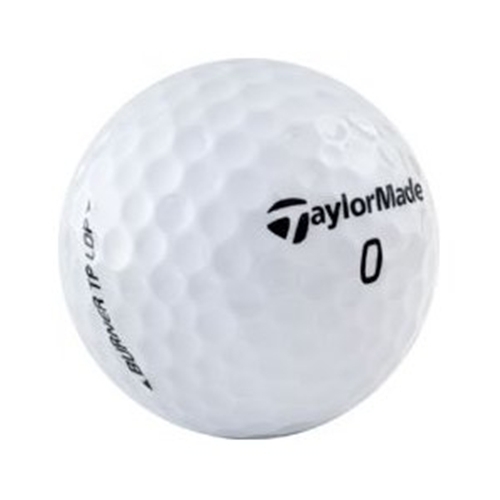 The TaylorMade Burner TP LDP golf ball features an exceptional V-Core (velocity core) and HPF 1000 mantle for revolutionary, ultrafast velocity and improved distance on off-center hits. The 342 low-drag symmetry dimple configuration limits drag and optimizes launch conditions to ramp up speed and distance. This low drag performance (LDP) together with the enhanced dimple design minimizes distance loss and maintains lift on low spin, off-center hits. With 3 piece multi-layer construction and super soft core compression, the Burner TP LDP promotes unbelievable distance and exceptionally softer feel.